Some links in this post may be affiliate links. If you click through one of these links, we may earn a small commission at no extra cost to you. Please see our disclosure policy located under the “about” link on our homepage for more detail. September was our first full month in Europe of 2017, and to say we enjoyed it would be an understatement. From wine tastings, to hiking, to caving, to sailing excursions, we have had an absolutely incredible time–October has a lot to live up to! 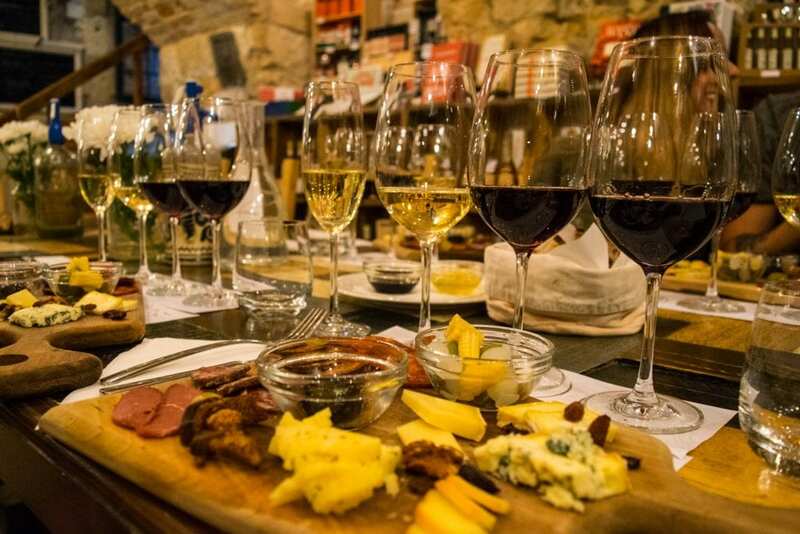 Our time in Budapest was packed full of adventures, but both caving under Budapest and our wine, cheese & charcuterie tasting tour rank as experiences that we’ll be discussing for years to come–we just had so much fun with them! As for our time in Rome, well: walking out of our metro stop lost in a discussion about what to eat for lunch and looking up to realize that the Colosseum was right in front of us was absolutely amazing. My breath literally caught in my throat, and we had such an incredible time exploring the Colosseum and Roman Forum on the very last day of September (the fact that it was 70 degrees and sunny outside didn’t hurt, either!). In Slovakia, we were hit with terrible weather while in the High Tatras: it rained every day we were in the mountains, often for the entire day. The sun only came out a couple of times, briefly, and we didn’t end up hiking nearly as much as we had wanted. Oh, well–the trip was still worth it! The biggest challenge of September, though, came in the form of an eye infection I came down with in Budapest: I wasn’t able to wear my contacts for more than a week (or visit the thermal baths during that time, sigh), and we had to run all around town to find a store that could make glasses with same day turnaround so that I could still get out and explore. At least the actual doctor’s appointment was easy enough: I was seen just an hour after walking in to see if a doctor was available, and the appointment and the two sets of eye drops prescribed came to less than $20 USD! Staying still for two weeks in Budapest. We knew that we wouldn’t want to travel nearly as quickly as we did in 2016 during this round of Europe travel–not only has our travel style naturally evolved, but with Jeremy working regular Monday-Friday hours, we have to be a bit more strategic to get everything in that we want to in a given destination (especially without exhausting ourselves!. Our two weeks in Budapest were perfect, and exactly what we needed to catch our breath–and our wallets, as the travel between destinations eats into our budget significantly. When the sun did grace us with its presence in the High Tatras, the photos were unbelievable–like this stunning mountain lake view. 6 of the Absolute Best Viewpoints to Visit in Prague — Prague’s biggest asset is its fairytale beauty–here are the best spots to admire it from. Show Me The Money: Travel Budget for Prague — Our evolving travel style, excitement at being back in Europe, and penchant for tasty restaurants all caused our Prague travel budget to be a bit higher than we would have liked. Oh, well. 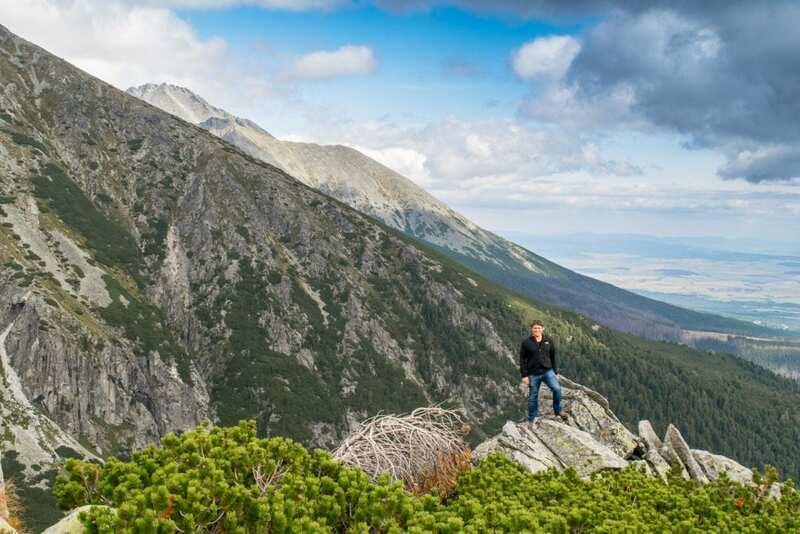 5 Reasons to Go Hiking in the High Tatras of Slovakia — This mountain range is a bit off the beaten path for people outside its region, but we loved it (even with the rainy weather that we dealt with). Prague or Budapest: Which One Should You Visit? — Almost everyone who visits both of these beautiful Central European capitals has a strong opinion on which one is “better”–here’s ours, along with some practical information to help you decide. Eating Our Way Through Budapest with Taste Hungary — Wine. Cheese. Charcuterie boards. Cakes. Coffee. Pastries. Gelato. … We had an absolute blast on our tours with Taste Hungary, and left completely stuffed both times! 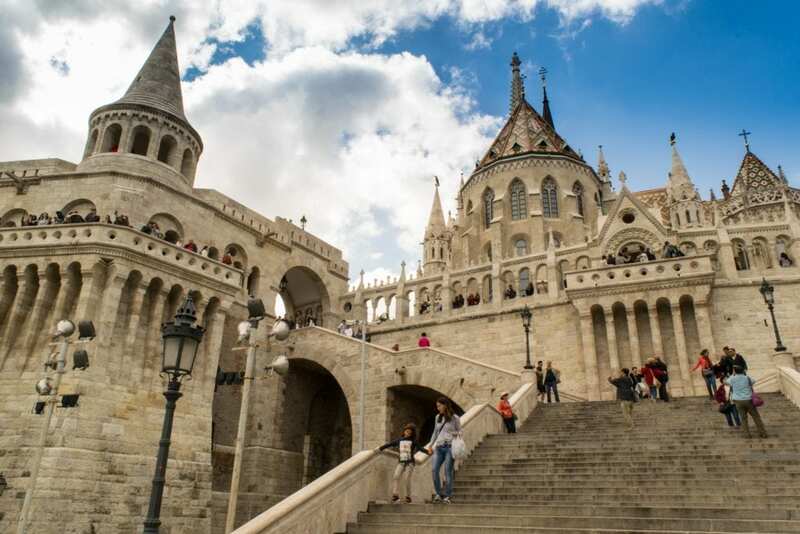 8 Exciting & Unusual Things to Do in Budapest — We skipped the highlights like Gellert Hill and Parliament in this post in order to discuss some of the city’s lesser-known strong points–it’s some of these that help Budapest rank among our favorite cities in the world! Italy, Italy, and more Italy: with the exception of a quick few days in a new destination toward the end of the month, all of October is going to be spent in one of our favorite countries in the world. We’re starting in Rome, where we’re working our way through the first-time-in-the-city highlights, and then taking off for Tuscany. We’ve rented an apartment in Florence for a solid month, and have already started sketching out an incredible itinerary for our time there: horseback riding, Vespa tours, side trips to the smaller Tuscan villages, wine tastings, and a day trip to Cinque Terre have all been discussed. Who knows exactly how much of our to-do list we’ll manage to accomplish, but we are so excited to settle into one place for a whole month, explore Florence in depth, and eat all the Italian food we can get our hands on. Many thanks to Caving Under Budapest, Taste Hungary, and Barbarossa Excursions in Malta for hosting us on our adventures with them! All opinions are, as always, our own. Some links in this post are affiliate links. If you click through one of these links, we may earn a small commission at no extra cost to you. We are committed to only ever recommending products and services that we personally use and like. Kate has been traveling full-time with her husband Jeremy (the other half of Our Escape Clause) for more than 2 years. She tries to keep a balance between going on new adventures and exploring favorite destinations (like Italy!) in depth, and is always on the lookout for the next beautiful overlook and delicious meal. Excellent post! I have a few points for you! A) where did you take the pic in the cover photo? the first one of the post? B) HOW DO YOU MANAGE TO WRITE THIS MUCH EVERY MONTH??? I am so jealous! C) you just inspired me to do the same and write wrap-ups of my month to keep track of things I do. This is such a great idea. I normally do it on my newsletter, but this is so much better! 🙂 thanks for sharing! 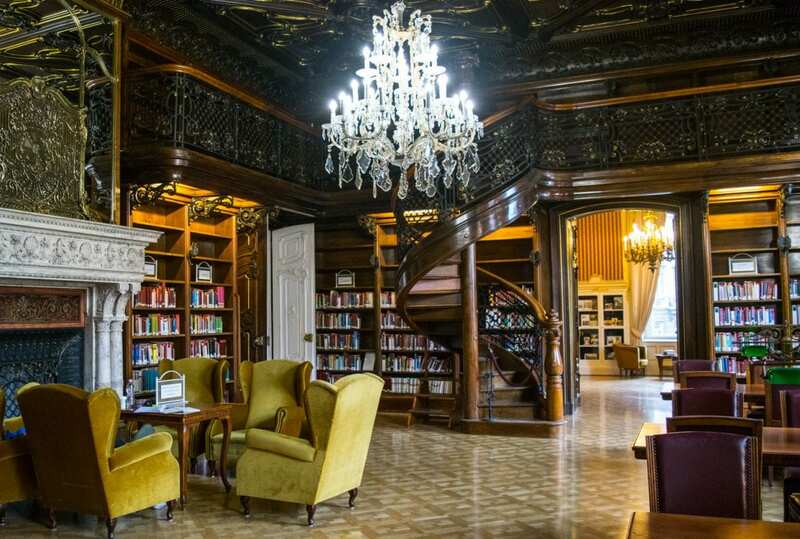 A) The Szabo Ervin Library in Budapest! Only around 3 USD to get in, and no crowds. One of our favorite finds of this trip! (There’s more about it in the unusual things to do in Budapest post, if you’re interested in finding it!). B) I don’t! Lol seriously, this was an exceptionally good month. Four posts is acceptable to me, six is amazing. I think being in Budapest for two weeks (where our Airbnb was especially comfortable) helped! I try to write about five days a week, probably actually write 3-4. C) Yay! The wrap ups are some of my favorite posts to write (and look back on–it’s amazing how fast things get blurred), and I love reading them on other blogs, too! What a great round up! You certainly have got around and had a lot of adventures in Europe. I like the fact that you all made the funds stretch in Budapest. Always very wise. Your photos look amazing! I’m totally jealous of the cost of eye care in Slovakia — wow! Were the glasses that inexpensive as well?? Looking forward to reading about Florence. We’re planning to take an extended trip there as well. The eye care was actually in Hungary, but yes it was amazing! The glasses were pricey, but we were paying for the convenience of a luxury place that would do a one hour turnaround, so I’m not surprised. I’m sure there are bargains available somewhere in Budapest! I have to admit, as much as I love Asia, I really REALLY miss Europe. It’s just so easy to go to so many different places! I’m immensely jealous. Budapest is one of my favorite places, you’ve made me miss it! Beautiful photos. I find myself saying that every time I’m not in Europe, lol. There are so many places I love, but part of me is always missing Europe until we get back! In September you visited most beautiful places specially Budapest and Prague. You are true that Prague is like dreamy because of big castles and rustic streets. Hope in this month you will enjoy Italy and take some beautiful shots. Thanks! We are loving Italy, can’t wait to spend most of October here. It looks like you had a packed month! I read your blog about hiking in Slovakia with a bad weather. But at least that view was great and you got to enjoy that special moment. So many amazing places you’ve been to as well!! I love the way you have summarized your travel. Quite nice to see your best pic and challenges. It definitely makes the read interesting. The Money Managing Move was quite enlightening too, for someone can really take tips from those. Well done. Glad you enjoyed it, Ami! Your month of september has been a great month of traveling! 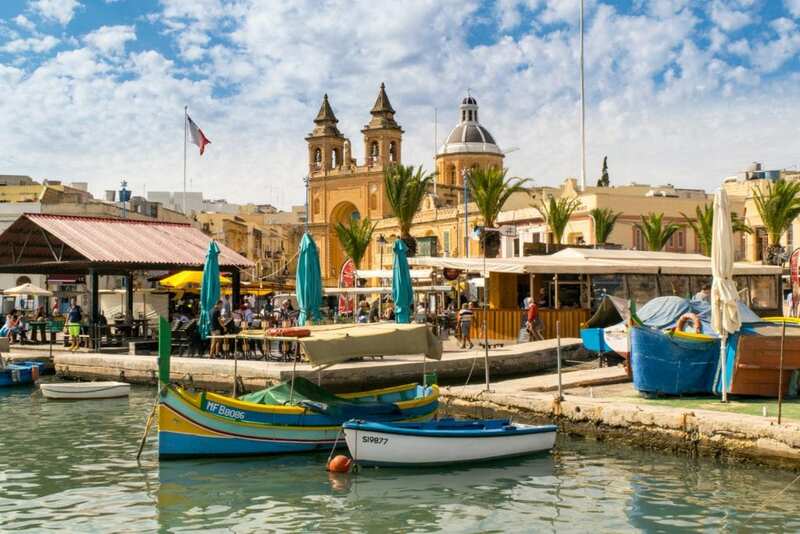 Quite jealous you’ve been to Mala, we hope to go very soon. We love Budapest a lot as well and would agree on it being one of our favourite cities in the world as well! Oh, I hope you guys love Malta! It’s such a unique place, and we love seeing small countries. What an eventful month! Seems like you were able to see a lot of Europe and also get a lot done while traveling. I’m so jealous of your upcoming month in Italy and can’t wait to see your pictures and posts! Thanks, Craig! We’re definitely still loving Europe. Hi, we’re Jeremy & Kate! We’ve been full-time travelers since May 2016, and are on a mission to find as many adventures as we can around the globe. So far, we’ve ridden camels in Morocco, learned to scuba dive in Thailand, climbed a volcano in Guatemala, gone cliff jumping in Croatia, and traveled overland from Mexico to Panama. Join us here to see what we’ve been up to lately--or to start planning your own adventures! Read more about the Storms! Copyright © 2016-2018 Our Escape Clause. All rights reserved. Our Escape Clause is a participant in the Amazon Services LLC Associates Program, an affiliate advertising program designed to provide a means for us to earn fees by linking to Amazon.com and affiliated sites. Some links throughout this site are affiliate links. If you click through a link on Our Escape Clause, we may earn a small commission at no extra cost to you.